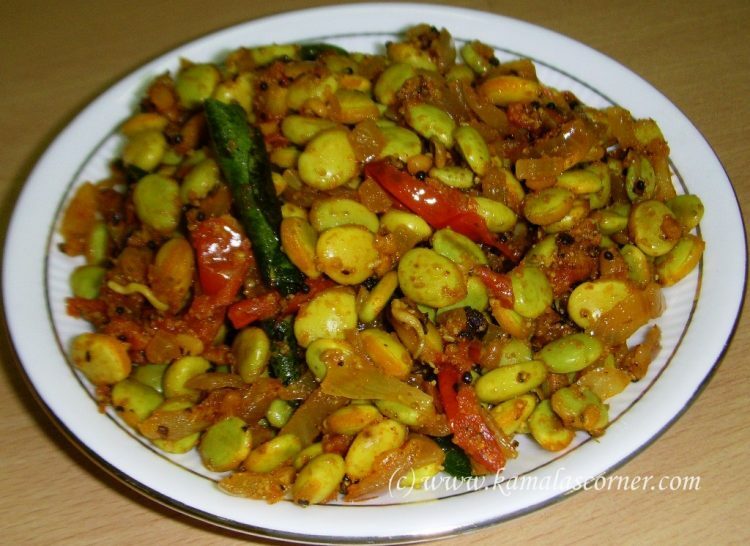 Mochai fry can be made with fresh beans seeds or with the dried beans (Mochaikottai). If you use fresh Mochai, then you can add directly to the curry and cook. If you are using dried beans (Mochaikottai), then soak it over night and then pressure cook it for two to three whistles and then use it in the curry. I used fresh green mochaikottai in this curry. In a kadai put the oil. When it is hot add mustard. When it pops up add urad dhal and fry till it turns light brown. Then add curry leaves, chopped onion and fry for a while. Then add tomato and fry for few seconds. Add the fresh Mochaikottai along with red chilli powder, coriander powder, turmeric powder and salt. Stir it well. Cover it with a lid and cook on medium flame stiring now and then till the Mochaikottai is cooked well. Then sprinkle pepper powder and garam masala powder and mix it well. This will go with any rice dishes and also with Chapati. Thank you Vinodha for your kind comments.